Kymco UXVs have a loyal following because of their reliability and their affordability. From the UXV 500 to the UXV 700 we carry the Kymco UXV parts that any Kymco owner can appreciate. In a lot of ways Side By Side sports is akin to Kymco, we also believe in reliability and affordability. 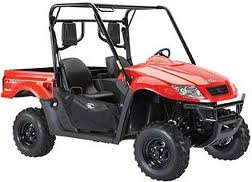 You have already broken the bank buying your Kymco UXV no need to break it again buying parts and accessories for it.